I love Lord of the Rings. It is one of the greatest books of all time, and an absolutely brilliant movie trilogy. During the course of our 10 year marriage my husband and I have probably watched the full trilogy around 100 times. Not exaggerating. My favorite part is the lighting of the beacons. 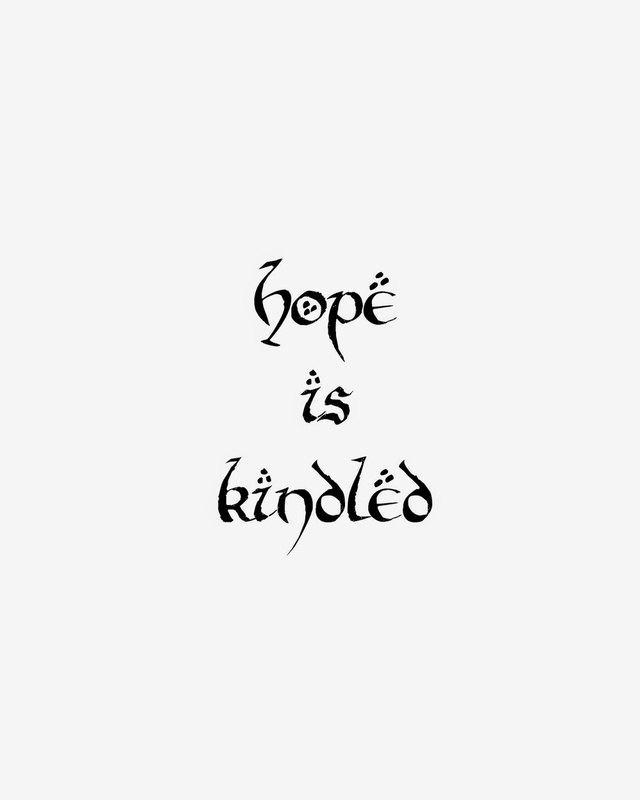 When Gandalf says "Hope is kindled" I get goosebumps. Every time I think the same thing: I want that on a candle! 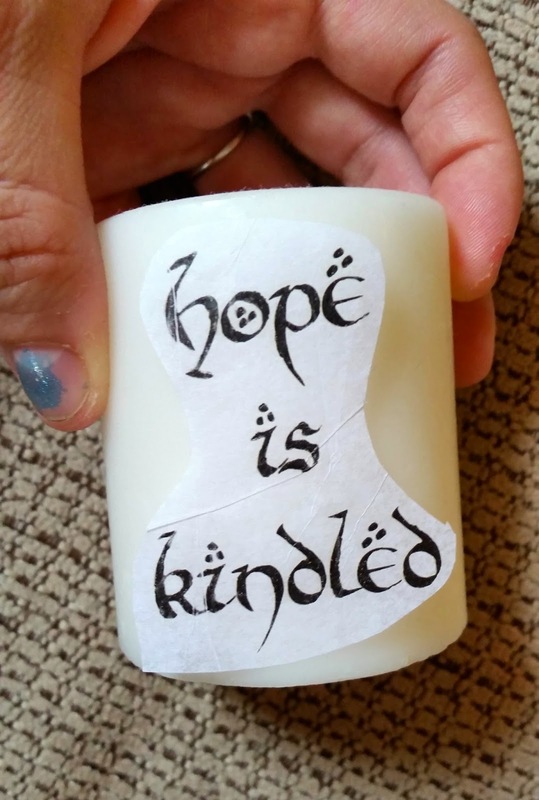 I finally got around to making a printable to create that candle. Tape your tissue paper to a piece of printer paper using double sided tape and print the image below. Be sure to se double sided tape because regular scotch tape may melt in the printer. For large candles print as is (25%). For the smaller 3 inch candles print at 15%. Carefully remove the tissue paper from the printer paper, and cut as close the to edges as you can. 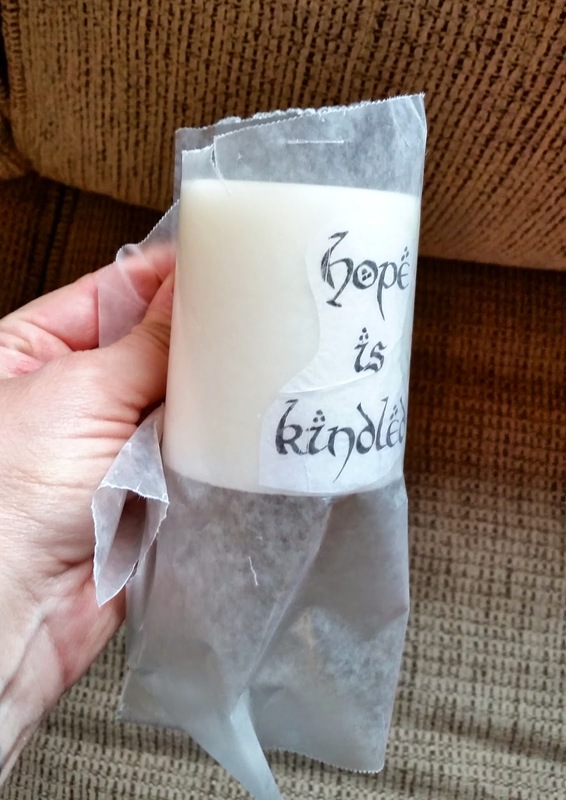 Hold the image against the candle and tightly wrap a piece of wax paper around the candle. Use a heat gun or a blow dryer to heat the candle until the entire image is covered and under the wax. 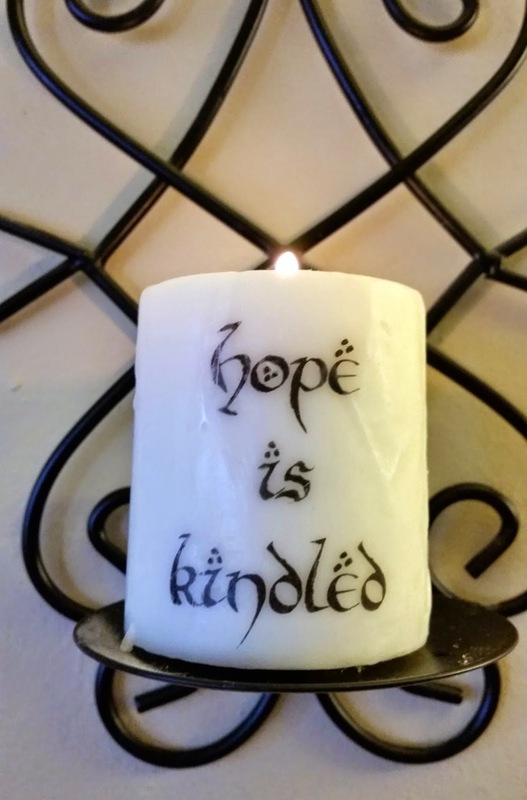 Make sure there are no wrinkles in your wax paper or there will be bumps on your candle like there were on my first try. 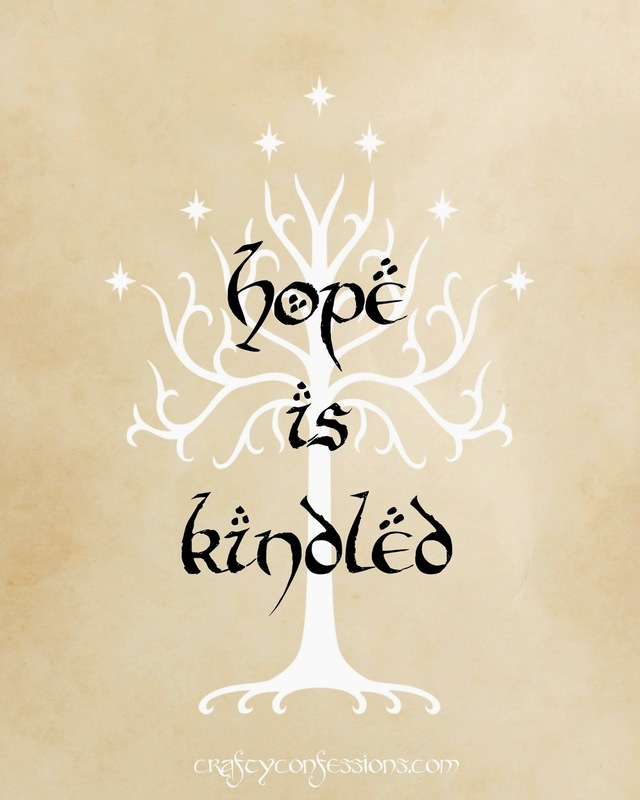 Now you've got a gorgeous tribute to Lord of the Rings, or just a wonderful saying to have around the house. 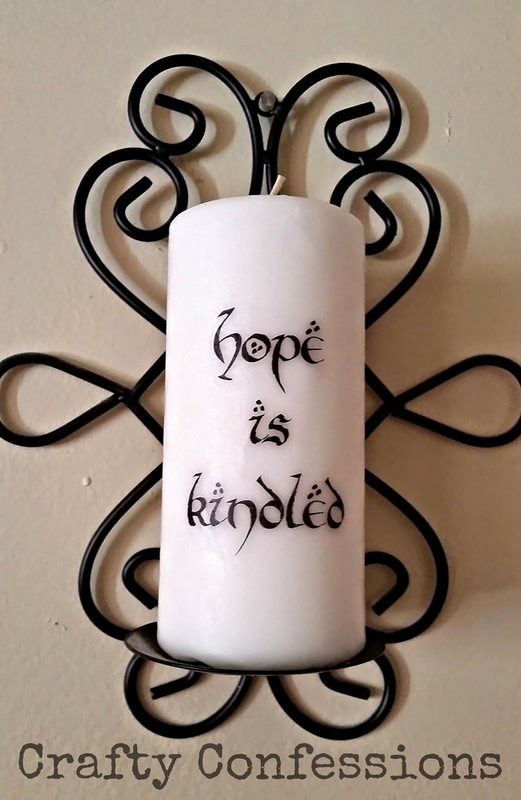 In addition to the printable for the candle I made an 8x10 that can be printed and framed. You can right click and save the image, or download the file from 4shared by clicking the link below the picture. The 4shared download does not have my watermark. Have you read Lord of the Rings and/or seen the movies? If not, get to it! Fly, you fools! These kinds of timepieces have ‘Eco-drive technology’ allowing these to renew alone together with natural light or perhaps almost any mild. fake rolex Hence these kinds of timepieces demand by themselves while they operate. replica tag heuer These kinds of timepieces may also be scuff immune and also waterproof around 100 metres. cartier replica The particular switch backdrop of the timepieces will be glowing blue gives these a classic seem and in addition allows you regarding looking at moment. replica breitling The particular gold done diamond with the observe is manufactured out of metal. Total the particular observe will be elegant and also reasonable in comparison to some other timepieces. patek philippe replica The particular covered titanium end provides observe an exceptional seem regarding good quality.